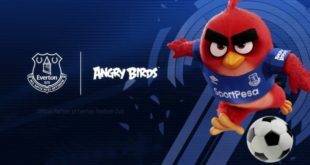 The move comes as Rovio looks to position Angry Birds as the number one mobile gaming brand across the territory. Rovio Entertainment has detailed its plans to grow the success of Angry Birds across Asia with new executive appointments and a raft of new game titles. The move is part of Rovio’s campaign to drive consumer awareness on a mass scale with the aim of reaching an unprecendented demand for official licensed product. As the firm embarks on its mission to reach the next milestone across the territory, it has appointed Vincent Yu as country manager in China. In the new role, Yu will be responsible for developing and leading all facets of the business in the cournty, including licensing, sales, marketing and managing the company’s new partnership with Kunlun. In its partnership with Kunlun – one of China’s biggest game companies – Rovio is looking to utilise local market intelligence to tailor its mobile games to the Chinese market. A similar local publishing partnership has also been implemented in Japan, where Rovio and Kiteretsu teamed to produce Angry Birds Flight, the first Rovio title developed entirely in Japan. Rovio is also strengthening its position in India and South Asia, another promising market in the global gaming and licensing business, with the appointment of Anurag Sachdeva to lead the business in the region. In his new role, Anurag will focus on consolidating Rovio’s presence in the market, driving global partnerships and strategic alliances while strengthening the company’s organizational capabilities. He also leads telecom operator relations for Southeast Asia while focusing on the expansion of the company’s market base. Previously Sachdeva served as Rovio’s Associate Director, Business Development for India and Southeast Asia. Prior to joining Rovio, he worked with Vodafone, Bharti Airtel, Virgin Mobile India and Aircel. 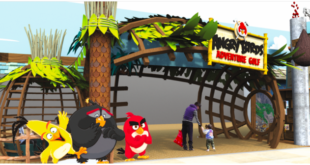 In Korea, Rovio is growing its global network of expert local licensing agents with the appointment of Asiana Licensing to represent the company locally in its consumer products business. Asiana joins Charactopia in China, Dream Theatre in India, PLS in Southeast Asia and Wild Pumpkin in Australia in an agent network across the Asia-Pacific region that works with licensees to create high-quality, delightful consumer products tailored for local markets. 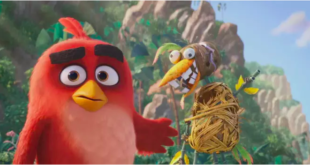 “The Angry Birds franchise is still just five years young and whilst we have achieved so much in such a short period of time, there’s so much more to come,” said Alex Lambeek, Chief Operating Officer of Rovio Entertainment.